Composed by Traditional Christmas Song. Arranged by David Catherwood. Christmas. Score, Set of Parts. 13 pages. Published by Opus 3 Music (S0.273333). 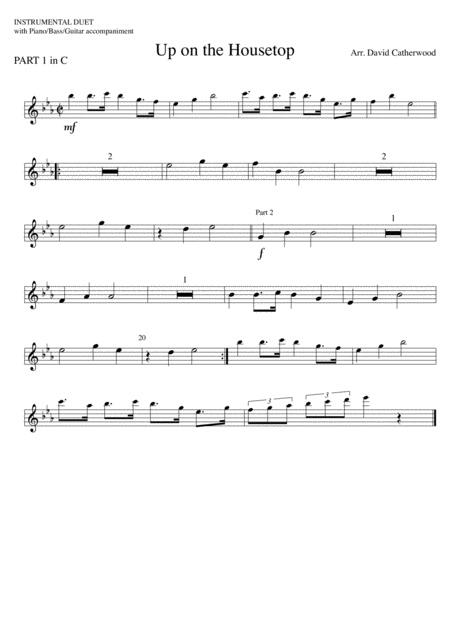 Up on the Housetop - This cheerful Christmas song is arranged so as it is possible to play as a duet with virtually any combination of instruments with accompanying parts for piano or guitar and bass. 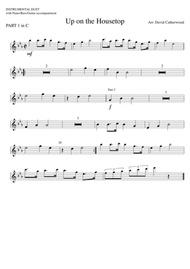 This generous set of parts will cover Flute, Oboe, Clarinet, Bassoon Saxophone, Horn, Trombone, Violin, 'Cello, Bass, Piano and Guitar.